Offer of 1 or 2 nights in shared accommodation with the registration in the course (upon availability). "FAZ com as tuas mãos" is a project of the designer Mariana Costa e Silva who designs furniture that is simple to make and good to use. 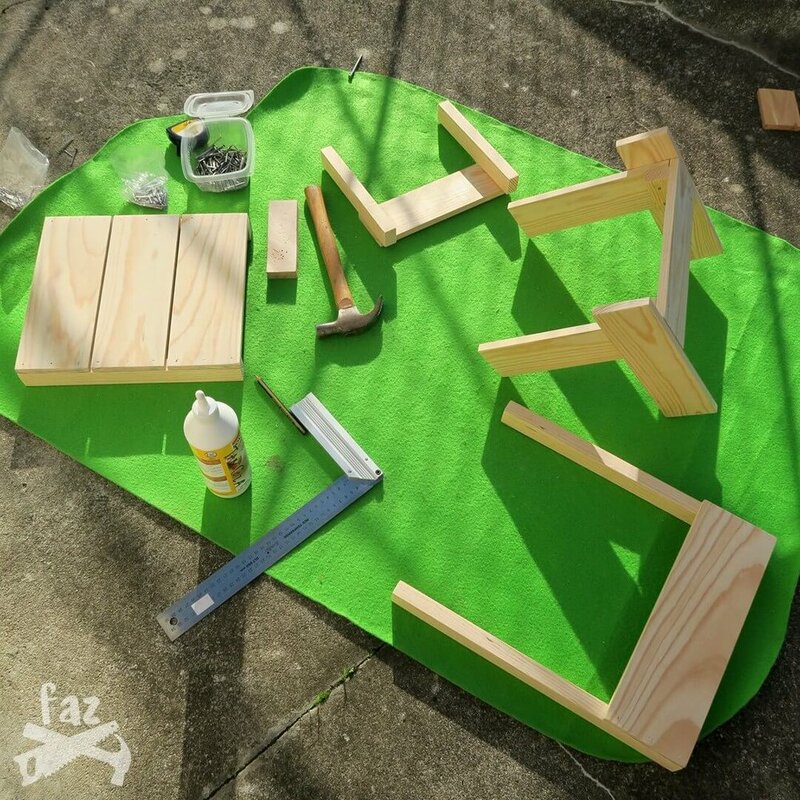 In this workshop, mothers and / or fathers are going to build a chair and a table together with their children, it will be a novelty in the nursery! Mariana Costa e Silva Mariana is not only an excellent product designer, she is a woman who likes and knows to do things with her own hands, creating and producing small furnitures and other things made from wood. She created three different brands of handmade products as Confeitaria da Mala, CUT Furniture and CUCO Toys. Mariana is a friend of Cerdeira-Home for Creativity for some time, but now the time has come for her to be one of our teachers and share with us her knowledge, her know-how and of course, her good mood. Kerstin Thomas Has a Fine Arts degree and studied wood carving and sculpture in her home country, Germany. Once in Portugal, she studied Portuguese Language and Culture at the Language Faculty of the University of Coimbra were she also studied social sciences. With a preference for noble woods, her work is inspired by rural life and the expressiveness of the human face. Co-founder of the Cerdeira Village project, she divides her time between her art practice and her work as coordinator of the village's Artistic Residencies Program. She has been living in Cerdeira since 1988. Under the guidance of Mariana Costa e Silva and Kerstin Thomas. The value includes the materials of the various models proposed.